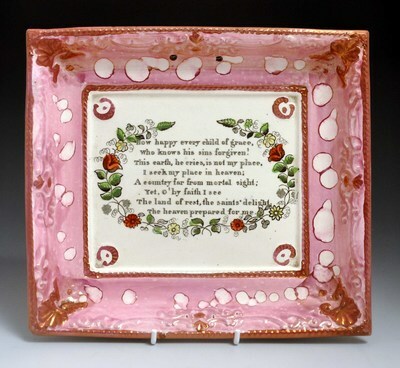 To the blissful enjoyments that never shall end. 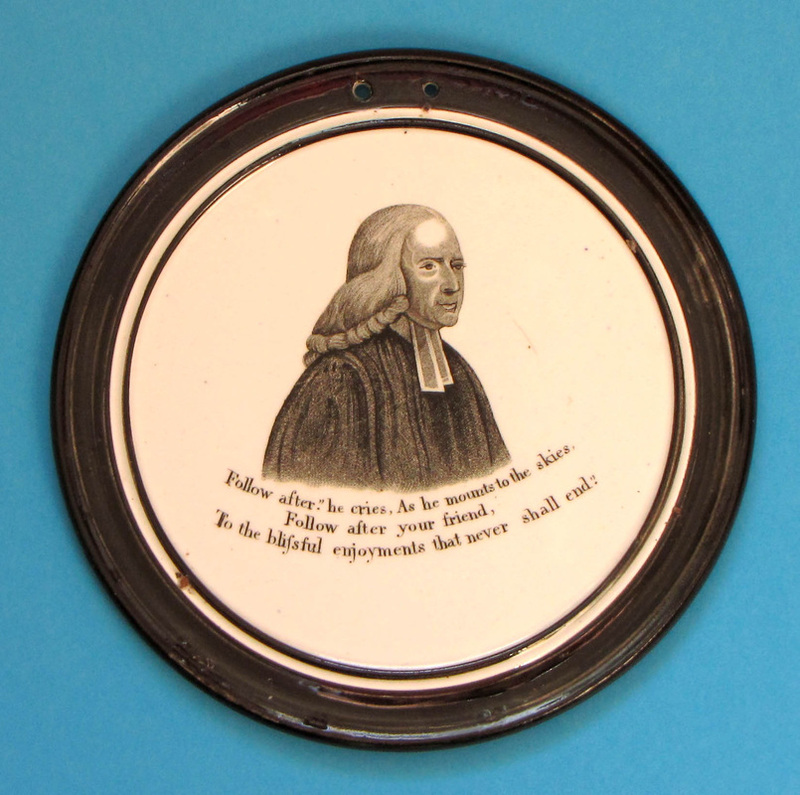 From hymn number 15, verse 3, in Charles Wesley's 'Funeral Hymns' (1746). The full version given in the link below. 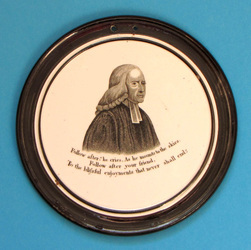 The first four circular plaques are attributed to Thomas Fell. 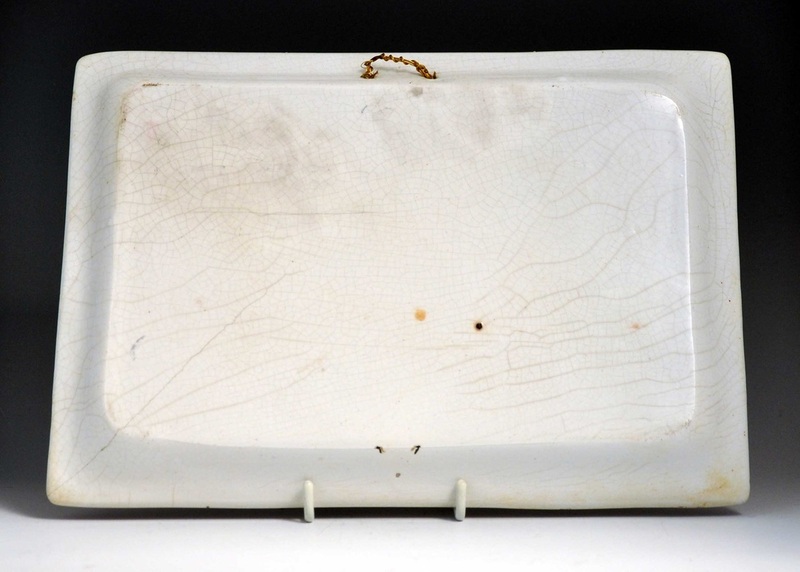 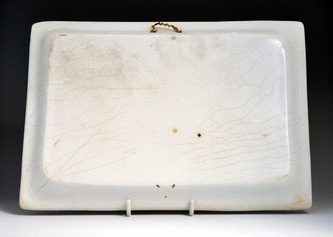 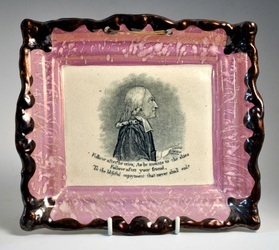 The exceptionally rare rectangular plaque is from an as-yet unidentified Tyneside pottery. 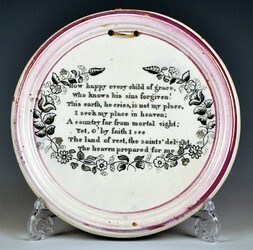 The last circular plaque is from the Garrison Pottery (Dixon's). 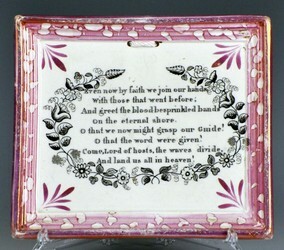 From the hymn 'Let Us Join Our Friends Above' (1759) by John Wesley's brother Charles (1707–1788). 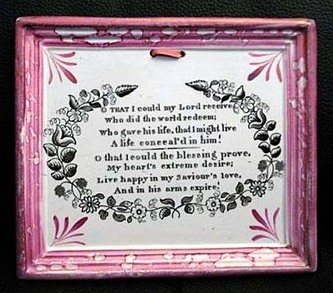 See link below for the full version. 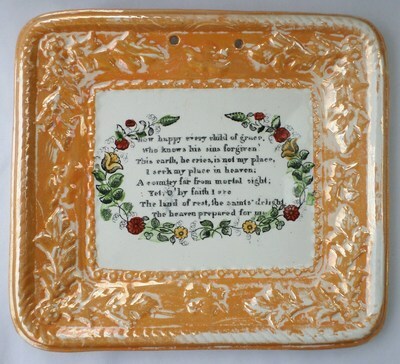 The extract above comes from verses 3 and 4. The plaques above are attributed to Scott's. 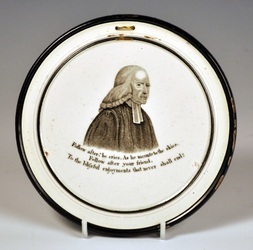 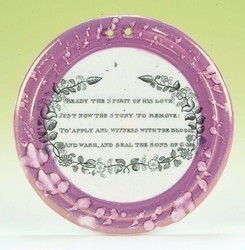 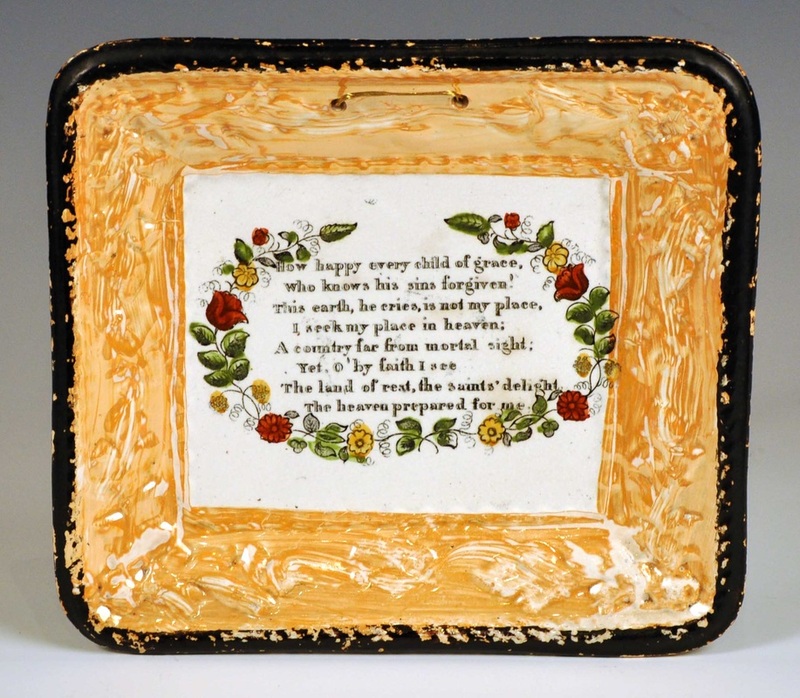 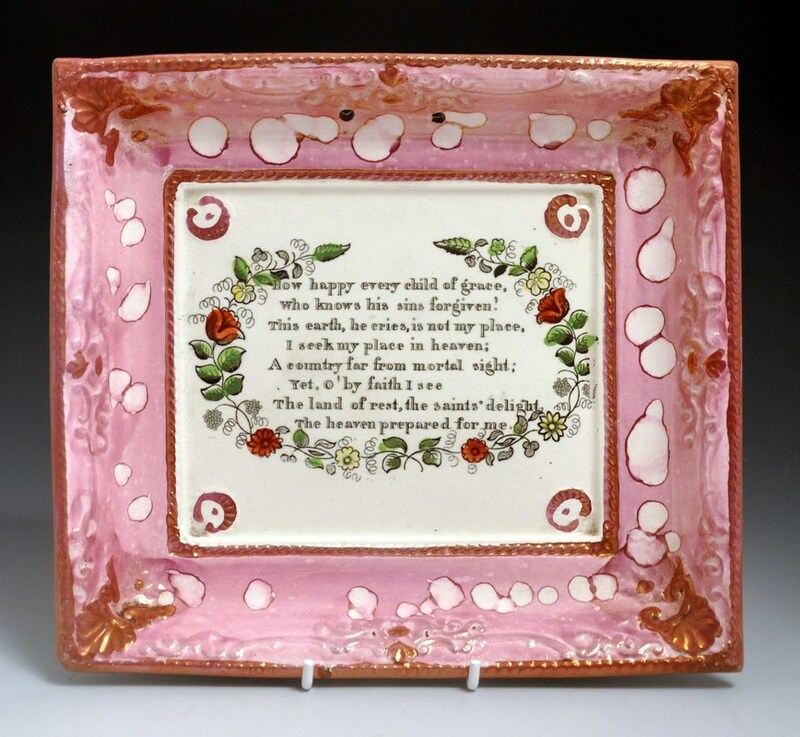 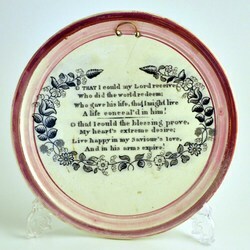 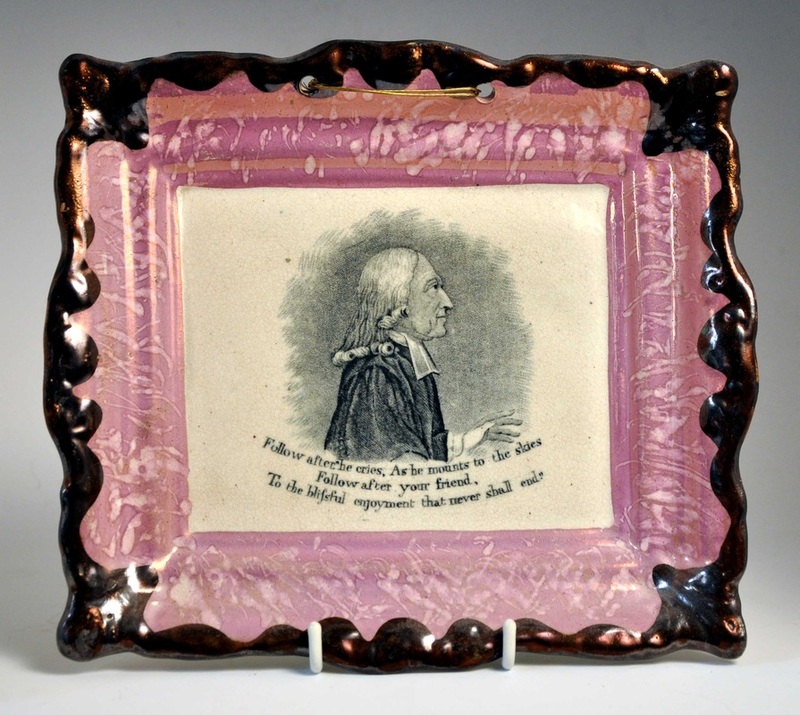 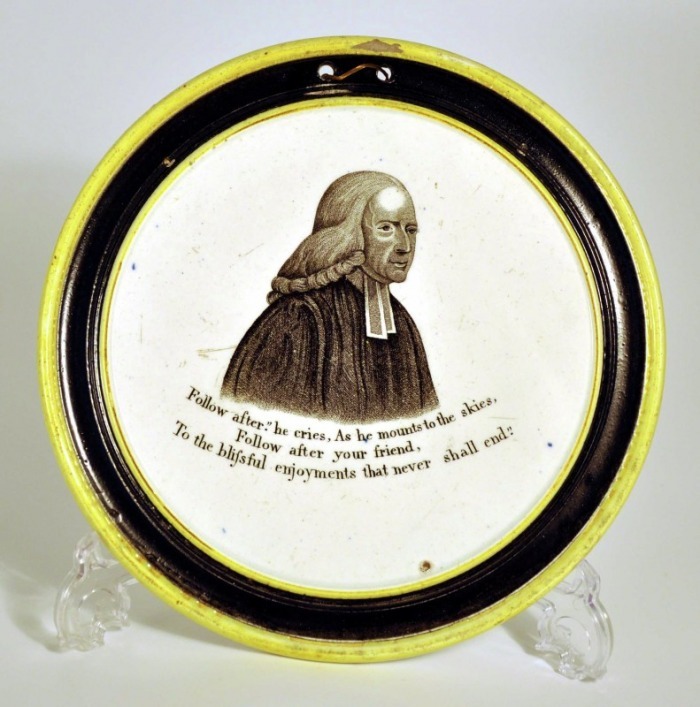 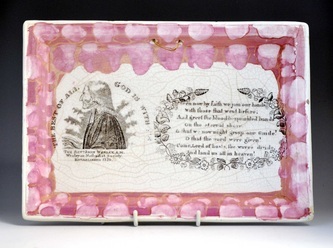 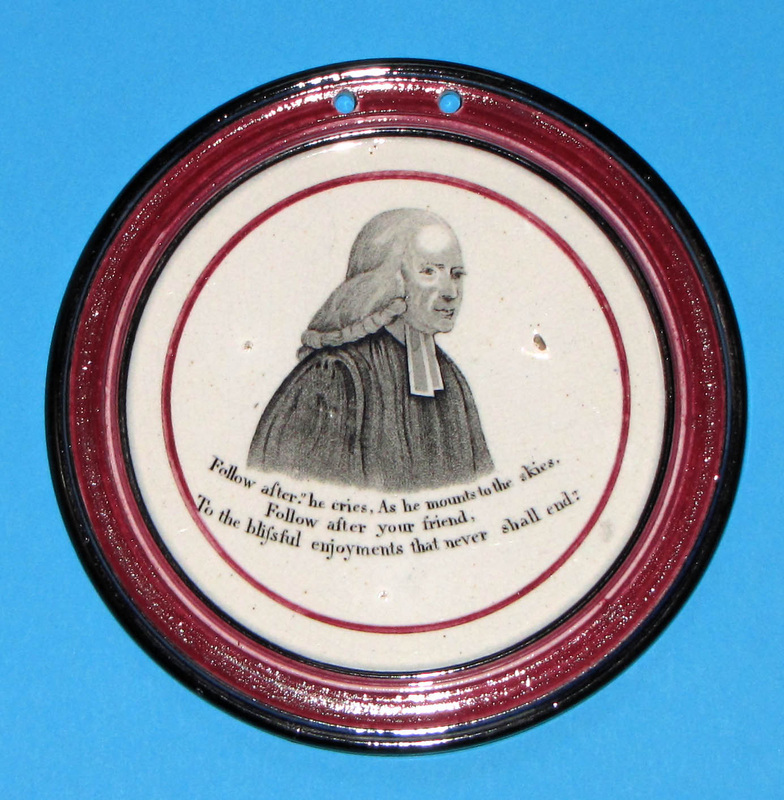 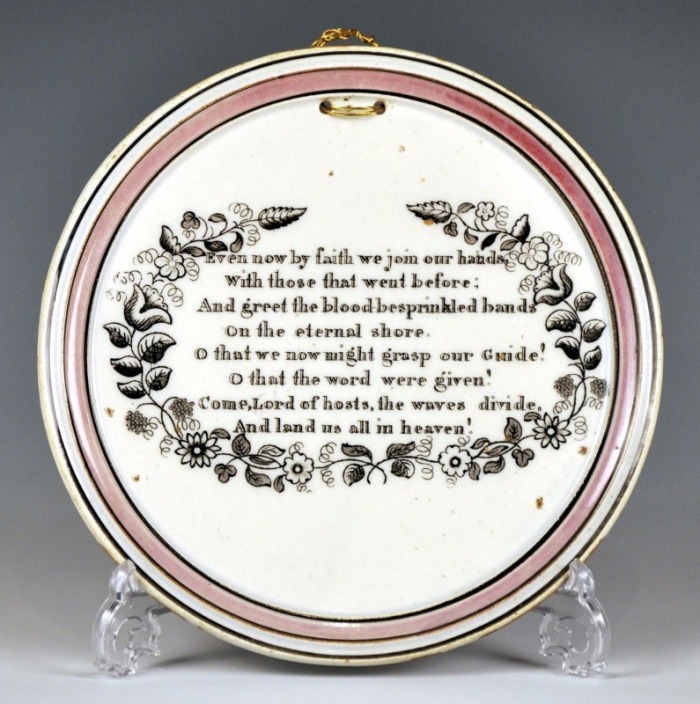 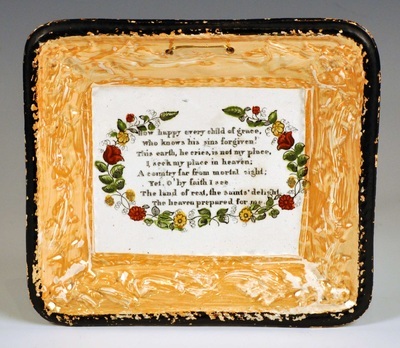 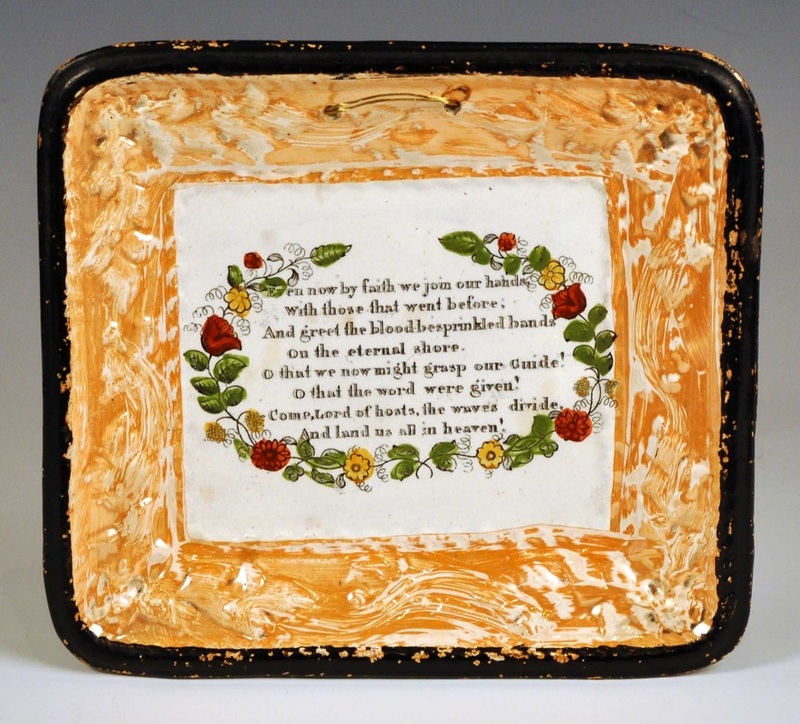 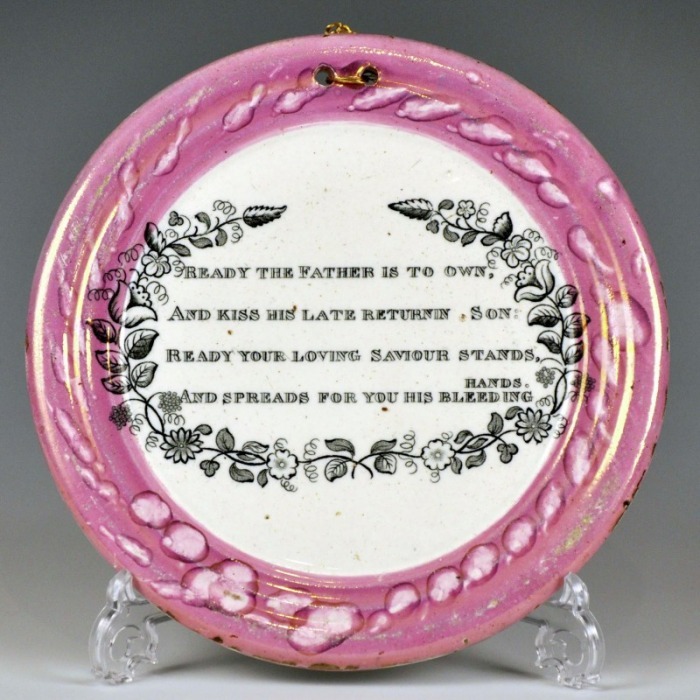 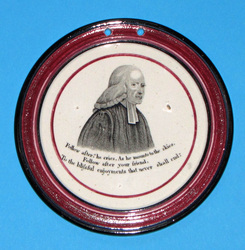 The exceptionally large and rare plaque form below (10.5 x 7.25 inches), incorporating a transfer of John Wesley and the Charles Wesley verse, is attributed to Ball's Deptford Pottery. 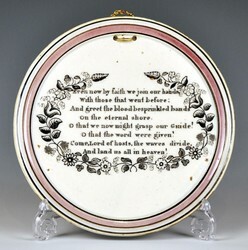 The final plaque (below right) has a Tyneside variation of this transfer. 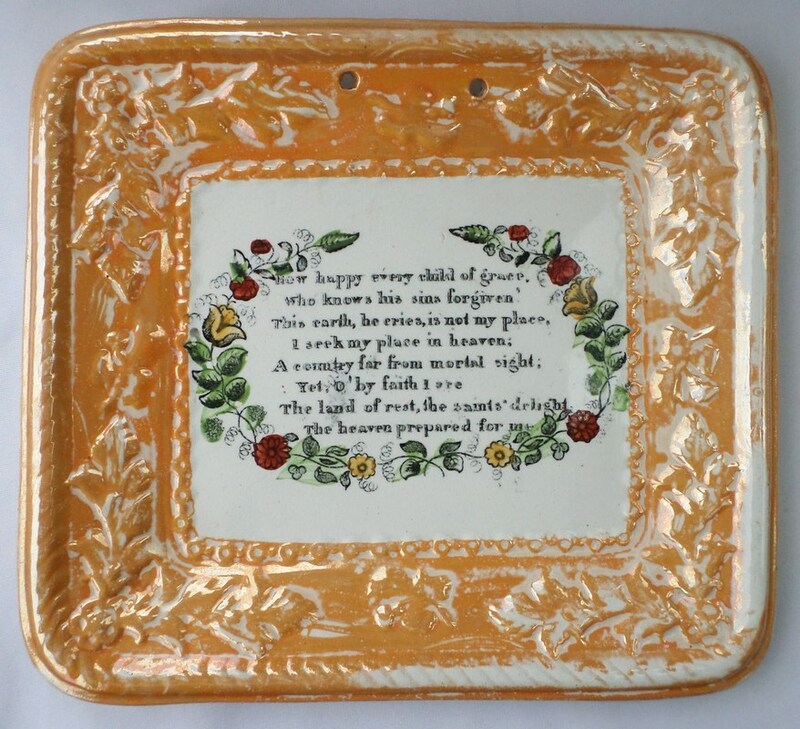 Who knows his sins forgiven! 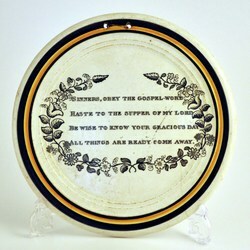 The heven prepared for me. 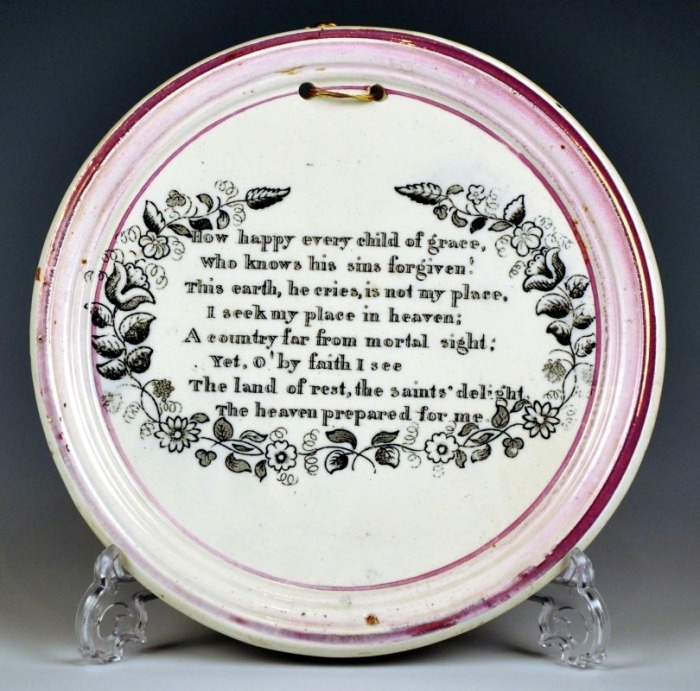 From the hymn 'How Happy Every Child of Grace' (1759) also by Charles Wesley. 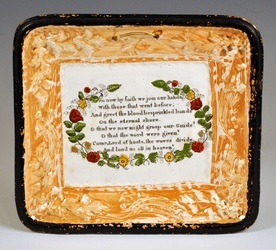 See link below for the full version. The extract above is verse 1. 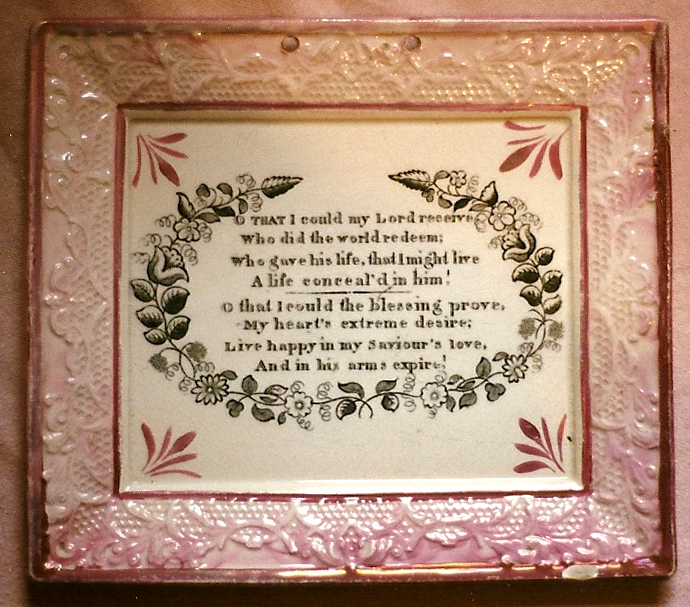 The plaques above are attributed to Scott's. 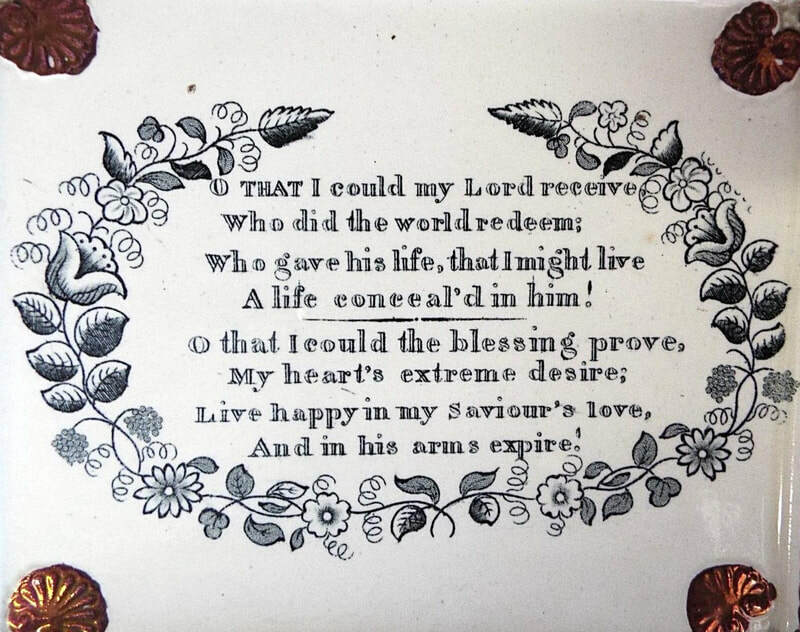 A life conceal'd in him! And in his arms expire! The verses above, also written by Charles Wesley, appear as verses 1 & 2 of hymn 125 in The Methodist Hymnal (1889 edition). 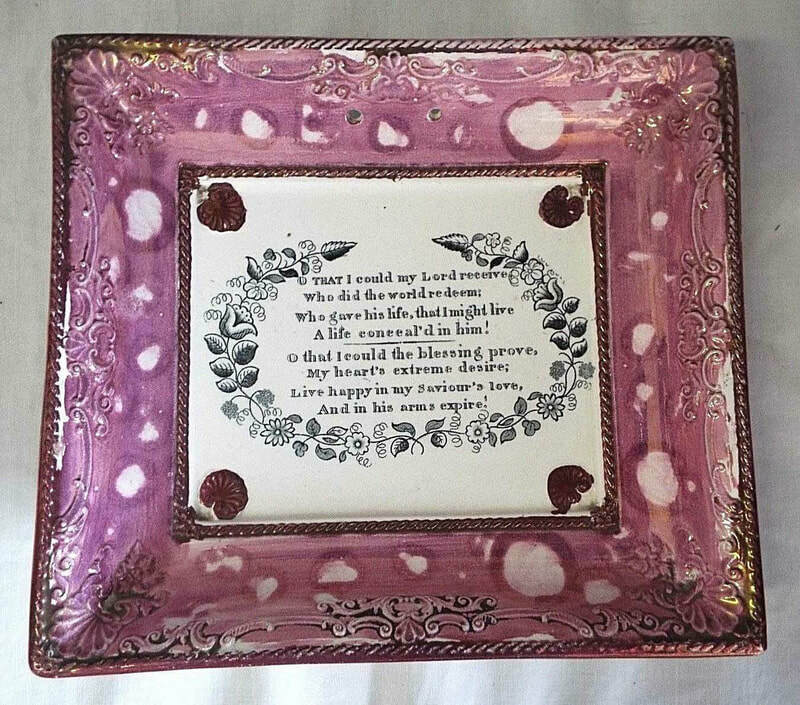 See the other verses on the link below. 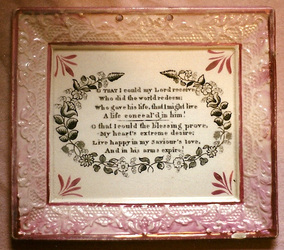 The plaques above are attributed to Scott's. 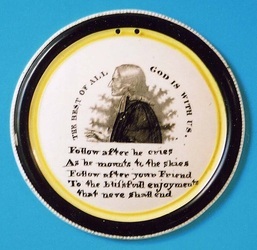 ALL THINGS ARE READY COME AWAY. 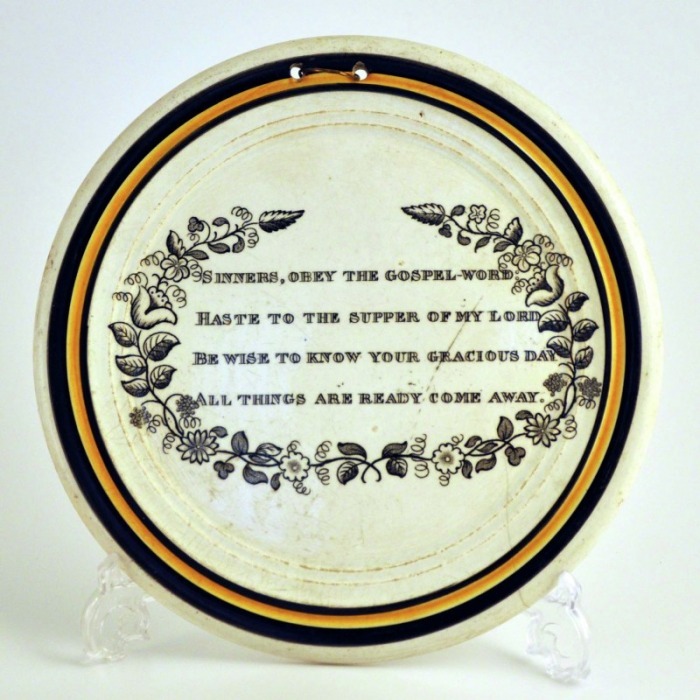 Verse one from the hymn by Charles Wesley, 'Sinners, Obey the Gospel Word'. 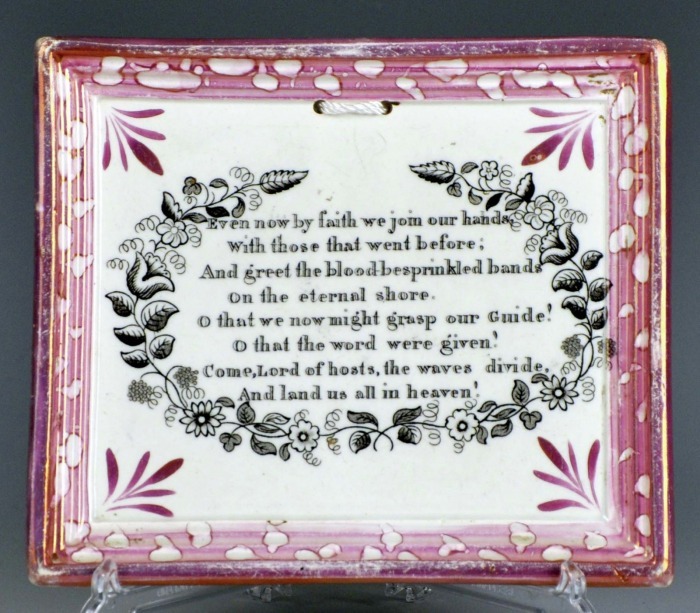 From 'Hymns and Sacred Poems' (1749). 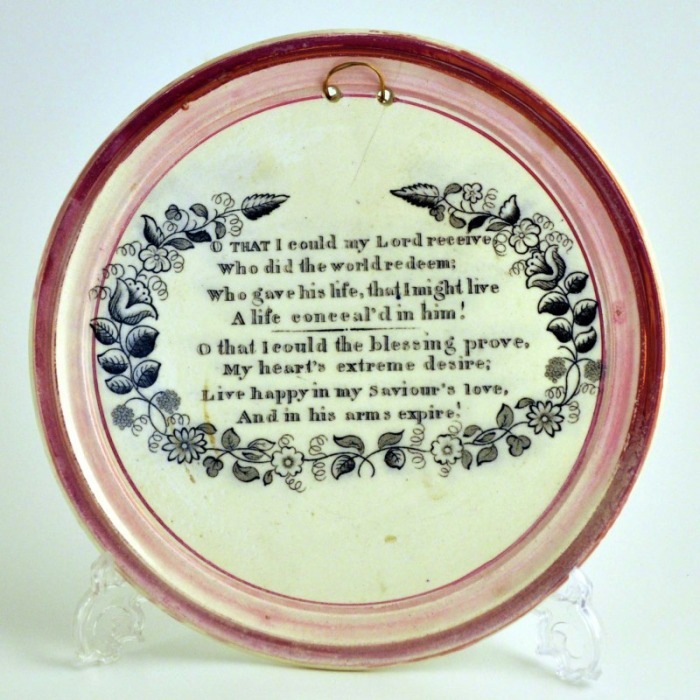 These plaques are attributed to the Sheriff Hill Pottery, Gateshead. 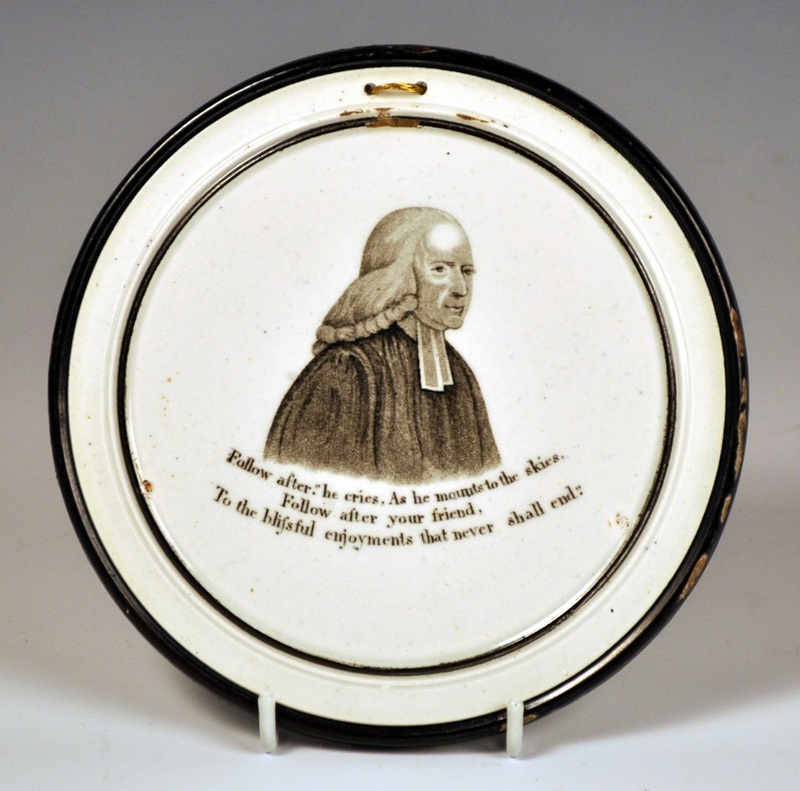 Verse two from the hymn by Charles Wesley, 'Sinners, Obey the Gospel Word'. 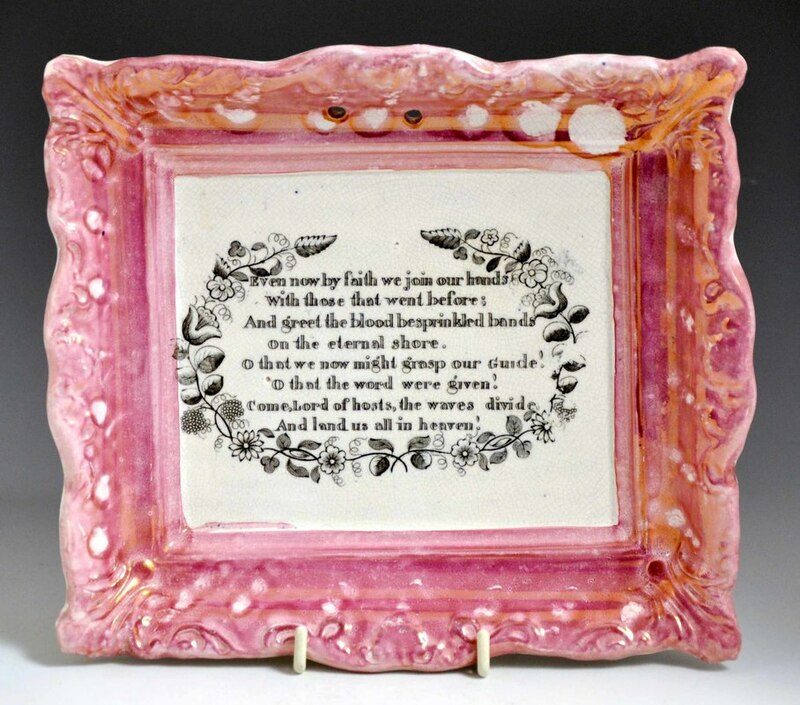 From 'Hymns and Sacred Poems' (1749). 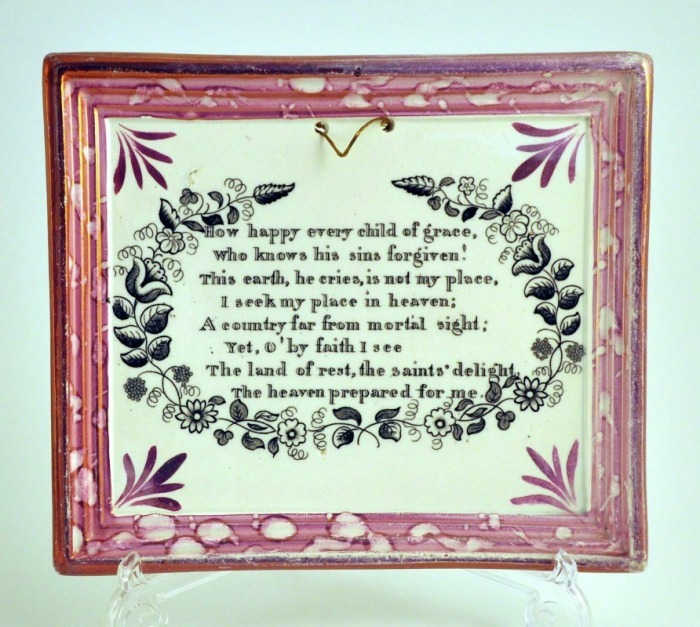 The plaque is again attributed to Sheriff Hill. 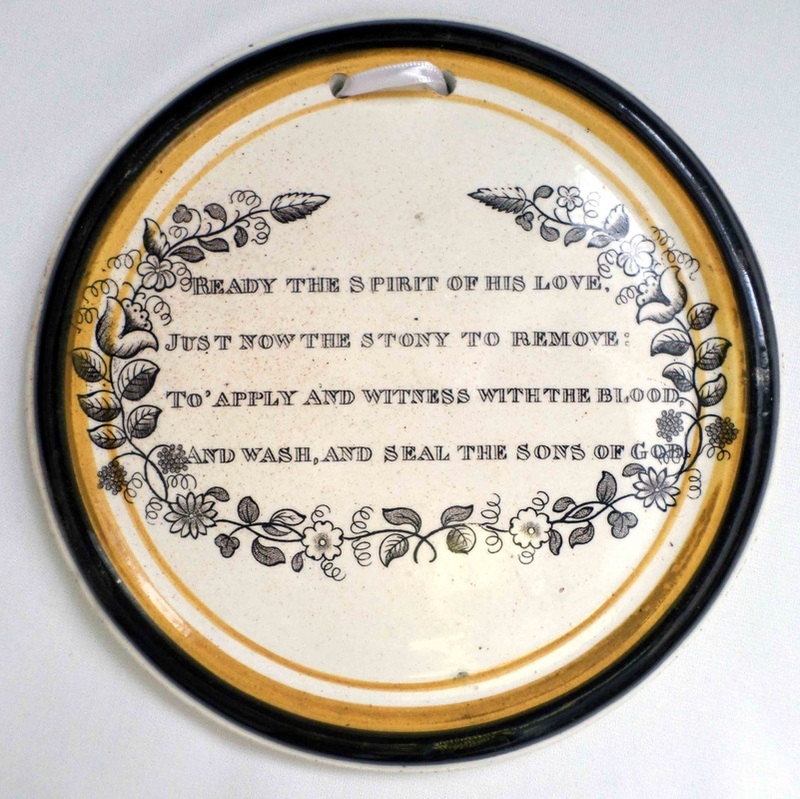 AND WASH, AND SEAL THE SONS OF GOD. 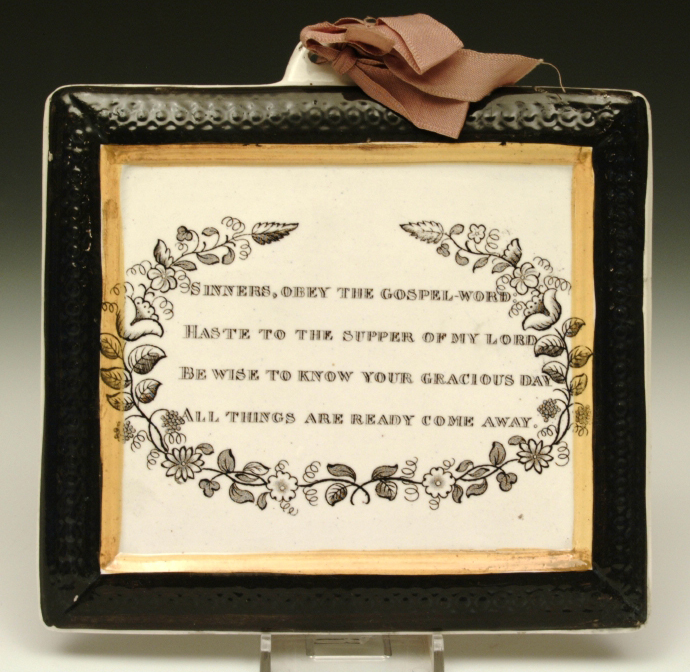 Verse three from the hymn by Charles Wesley, 'Sinners, Obey the Gospel Word'. 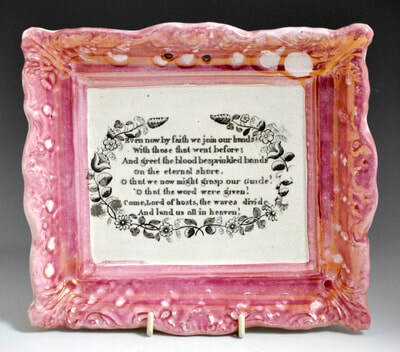 From 'Hymns and Sacred Poems' (1749). 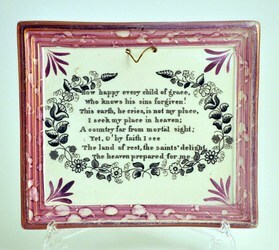 The plaque is attributed to Sheriff Hill.